Currently, only about 50% of an estimated 3.9 million concussions that occur annually are reported. When left untreated, studies show that concussions lead to emotional imbalances, serious depression and the degeneration of motor functions. In response to this, the NCAA, together with the United States Department of Defense, created the Mind Matters challenge, a grant given to seven universities to investigate the current climate surrounding head health in college athletics. The University of Georgia is one of the seven universities participating in this challenge. Using the data gathered from the University of Georgia’s study in to the reasons why athletes do not report concussions, this module is a tool for athletes of various demographics to learn. The Impact is a multimodal web experience designed to elevate the understanding of concussions in order to increase the amount of concussions reported annually. The Impact changes the conversation about concussions; with an increased understanding of both the short and long-term effects of untreated concussions, athletes can participate in sports safely and knowledgeably. 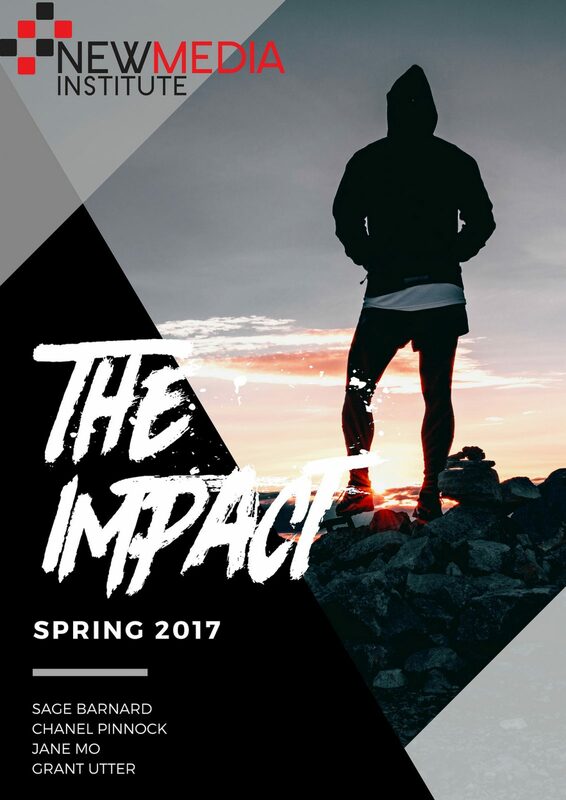 The Impact is a module disseminated to athletes via a coach or trainer. Athletes are required to experience this module and prove that they have successfully retained the information presented to them. The experience is two-fold. In the first portion, testimonials from college athletes create a relatable pathos surrounding concussions. In the second portion, short narratives illuminate issues present in the current concussion culture and address ways in which athletes can navigate the current landscape, with particular attention given to reporting and treating head injuries as they occur. Upon log-in, athletes are prompted to create an account with The Impact, detailing their name, age, sport and certain demographic information. This log-in information will be collected and stored to be viewed by respective coaches. After log-in, the module will begin. Video and picture content are arranged in a “timeline;” they are presented one after the other. Navigational arrows allow the user to access the subsequent element of the experience, while a timeline at the bottom of the screen tracks progress and provides a way for the user to access any previous content, regardless of order. At the end of the experience, users are prompted to enter their name, which will be generated in to a certificate that will be sent to their coach/trainer. This module is hosted on WordPress. After the presentation of this demo, this module will be handed off to another team that maintains and disseminates the finished product to sports teams around the nation. Though it is difficult to change a deeply-rooted culture with an online module, it is hoped that, through enough exposure to this module, athletes will report their concussions more often and maintain proper head health.